As a season veteran of the OUSCI, Hobaugh knew what it would take to score the maximum amount of points possible in both the Detroit Speed Road Rally and the Lingenfelter Performance Design Challenge. While capturing points on the Road Rally was old hat for Brian, the Design Challenge was another story. In an absolutely stellar field, featuring Riddler, Gran Turismo GM Design Award-winning builders, Hobaugh's Stingray still managed a top-10 finish, which is an incredible accomplishment in itself and reflective of the car's rockstar status in social media. When the competition moved to the RideTech Street Challenge Autocross, all eyes pointed toward Hobaugh, winner of multiple SCCA Autocross National Championships. 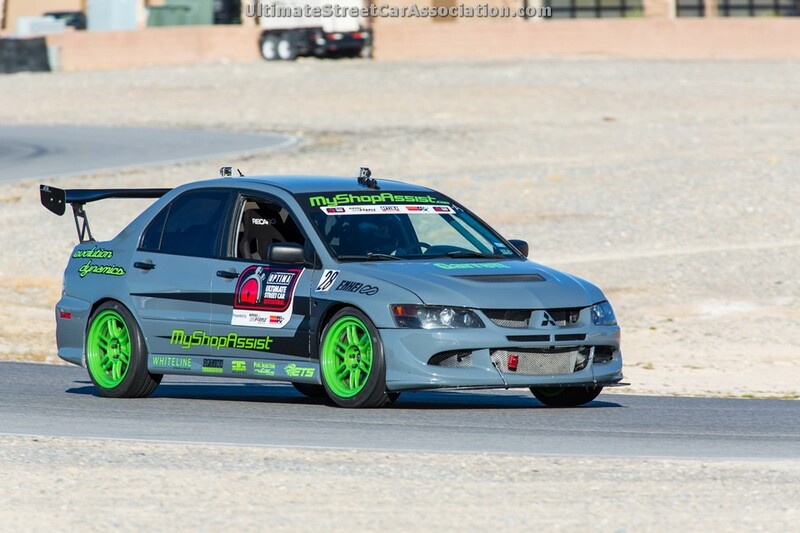 Although Hobaugh might've been a little disappointed in the outcome, in a field where the difference between eighth place and 40th place was less than two seconds, Brian ended up with an impressive third-place finish, behind Danny Popp's Corvette and Brandon Ranvek's Mitsubishi Evolution. Even more impressive is that Hobaugh's Stingray was nearly 40 years older than every other car in the top-eight finishers. Unfortunately, on his last autocross run, Brian broke a half shaft. Fellow competitor, Mike Maier, as well as JJ Furillo of JRi Shocks, the folks at Detroit Speed and Brian's friends, Rob Muhleman and Bill Course (as well as his father and several others) all sprang into action and made sure the car was up and running again, without missing any of the remaining events. However, it wouldn't be the last issue that would plague Hobaugh during the weekend. 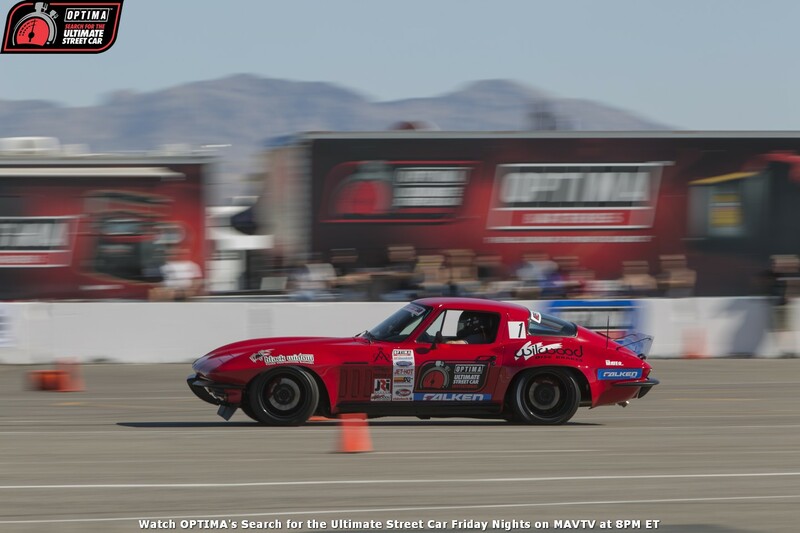 While Brian had run in the Wilwood Disc Brakes Speed Stop Challenge at the USCA qualifier in Portland, which was significantly larger than some of the other courses run throughout the year, there was no advanced notice regarding the layout of the course at LVMS. "The Wilwood Speed Stop required a lot more horsepower than previous events and the lack of power and grip off the line compared to the all-wheel drive cars really showed," says Hobaugh. That was also evident in the final results, as seven of the top-ten finishers had all-wheel drive. Brian did notch a top-20 finish (19th) in the Wilwood Disc Brakes Speed Stop and once again, the margin between competitors was razor-thin, as Hobaugh was within .009 seconds of Mike Maier and Dan Livezey, who both finished just ahead of him in that event. Mechanical issues also reared their ugly head again, as Brian broke a power steering belt, which forced him to miss a run and a possible higher finish in the event. Sunday was a new day and based on the competition on Saturday, Brian knew he would have his work cut out for him on the BFGoodrich Hot Lap Challenge. While Corvettes and Camaros grabbed six of the top eight spots on the road course, Hobaugh's Stingray was not one of them. 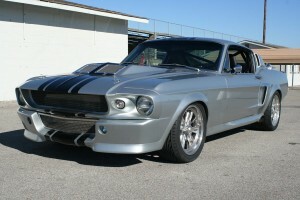 He knew he was at a disadvantage in terms of horsepower (his 364 cubic-inch V8 produces about 525 horsepower), but when a rocker arm came loose and he missed a session repairing it, he knew he couldn't afford to make any mistakes with the precious track time he had remaining. Brian was one of three competitors to post a lap time in the 1:49.7xx range, but his was the slowest of the three, leaving him in 17th place. When the weekend wrapped up, Hobaugh, in spite of all the mechanical challenges he faced during the event, still managed to place his Stingray sixth overall in the OUSCI and was the only vehicle built in the 20th century to finish in the top-12. "If I were to do it over again, I may have brought my Camaro," says Hobaugh. "It would have done better on the road course and speed stop." As for the rest of the field, Brian was really impressed with the incredible diversity and felt the talent level was the highest he had ever seen, particularly with the newer cars. "Brandon Ranvek did an amazing job," says Brian. "If he didn't break, he would have won." We always ask OUSCI competitors if they have any advice they'd like to share with others looking to compete in future events. Given his consistent ability to notch top-10 finishes year after year, Hobaugh's advice should be taken to heart. "Prepare your car to the best of your ability, to be able to handle all three track events and attend as many OUSCI qualifying events as possible, to prepare yourself for the big show," says Hobaugh. It may seem like common sense advice, but it has certainly been a strategy that has served Hobaugh well over the years. If you'd like to keep tabs on Hobaugh and his incredible Corvette and Camaro, be sure to follow @bdhobaugh on Instagram and find out why 60 new people follow him every time he posts a status update.